Today I'll share with all book warm friends, a PDF file of Rahasya Patrika June 2015 edition. 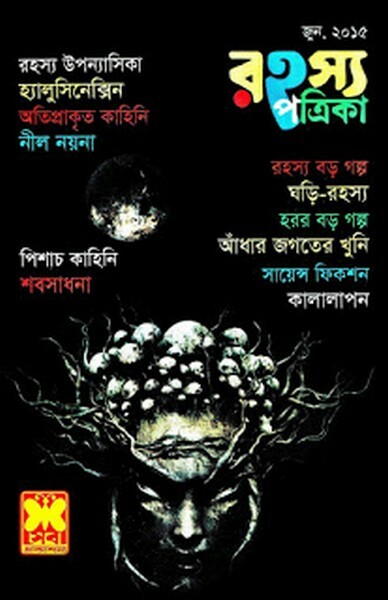 Rahasya Patrika is a monthly issue which published by Sheba Prokashani from Daka in Bangladesh. It is most popular magazine among Bengali language people since three decades. Basically its story about mysterious and horror. This edition cover stories are detective story Hyalusixsina and horror story Nil Nayna,The usual story, Mystery story- read mysteries and many more. View or Read Full Magazine.